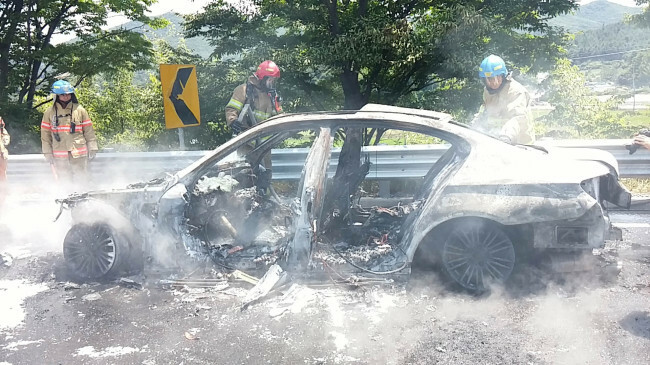 BMW Korea, the local importer and distributor of the German luxury carmaker, is under growing pressure from the government and public to submit technical and auto parts documents to narrow down the reason for engine fires. “We urge BMW to take a responsible stance in the issue and provide substitute cars for owners alongside documents related to auto parts and technology promptly,” the Ministry of Land, Infrastructure and Transport said Friday. BMW Korea is scheduled to transfer the documents containing information that faulty exhaust gas recirculation systems had caused the fires. 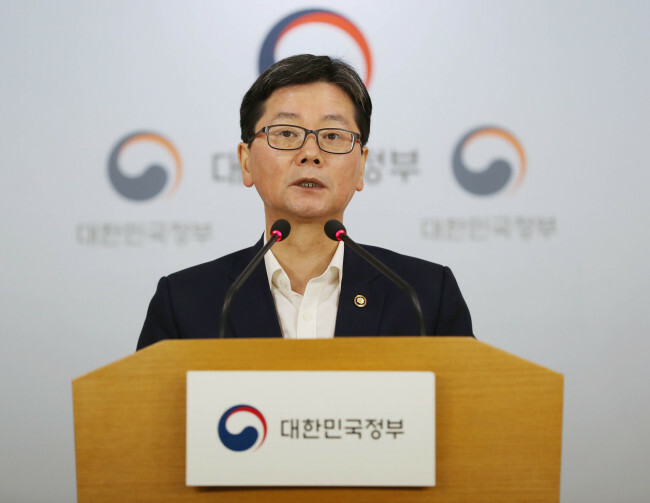 “Business secrets will be kept separate, but for the most part we will look into opening the documents,” said Kim Chae-gyu of the ministry’s motor vehicle management team. Related organizations and professionals will be part of an inspection team, which is expected to operate for about 10 months. Speculations that the EGR system may not be the main cause of the engine fires has snowballed due to a lack of evidence that it is defective as well as insufficient explanations on questions raised. Mindful of such doubts, Kim said the ministry will “extensively examine” the possibility that software and intake manifold flaws had caused the fires. According to the ministry, director-level officials from BMW headquarters in Germany in charge of diesel engines flew to Korea last month to explain defects in EGR and discussed the topic with the Korea Automobile Testing & Research Institute before finalizing the EGR system as being at fault. “All-out efforts will be made to complete the recall as soon as possible, and to ensure BMW owners their vehicles are safe. Car owners of recalled vehicles can receive rental car service until the checkup is complete,” said a spokesperson for BMW Korea. Meanwhile, the ministry also faces criticism for failing to issue the recall quickly, as well as lack of understanding on the exact cause.